Most of us know Jeff Anderson for his brilliant work as a teacher and writer of professional books. I have learned so much from Jeff through his workshops and books. Mechanically Inclined is a book that I go back to often and his others stretch my thinking about writing. This year, Jeff's first MG novel is due out and I was lucky enough to get an advanced copy of it. 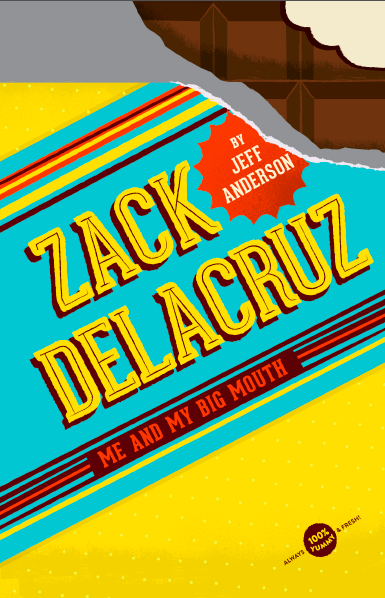 The book is called Zack Delacruz: Me and My Big Mouth and it is due out in August from Sterling. It was a great read and I can think of so many past students that will love this book. 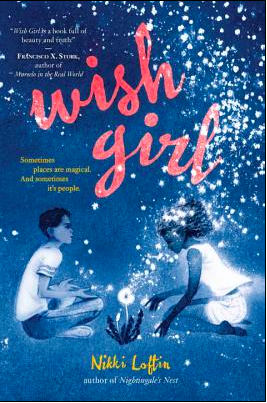 This is probably geared toward the upper end of middle grade--I am thinking grades 5-7 seems perfect. I had the opportunity to interview Jeff about his book and his writing. I learned so much about his writing and this new book! Franki: Why, after focusing on writing professionally for teachers did you decide to write a middle grade novel? Jeff: Actually I began trying my hand at writing fiction for middle grade readers almost 20 years ago. While my first published work was professional writing for teachers, my first love was middle grade and YA fiction. Since my professional writing was fairly successful, I decided to give fiction another shot after letting it wane for five or six years. Instead of revising what I’d done in the past, Zack’s voice came to me and spilled out on the page, and many revisions later that became Zack Delacruz: Me and My Big Mouth (Sterling, August 2015). I have a blast plotting stories, cracking myself up, going back to certain settings—hamburger joints, school festivals—any of the settings in my books and paying attention in a new way. Franki: You mention in your note before the story that Zack Delacruz is a lot like you. Can you talk more about that? Jeff: That's the fun of fiction, isn’t it? Bits and pieces and flashes of your life unconsciously work their way into your prose. Zack is short—I am tall. But the way the difference contributed to us standing out is our link. And let’s just say my big mouth had a way of getting me into trouble as well—saying the wrong thing at the wrong time to the wrong person. But all the characters have a bit of me or people that I’ve known—even in embarrassing ways. Like Janie, I sometimes spit when I talk. This was not conscious choice for her character, however. I only realized the connection later. It just happened. That’s the other fun of fiction. As I write characters they become real people to me. They do the things they’d naturally do, which are sometimes things I’d do or I’ve seen people do. There is a power beyond the conscious mind that weaves conflict and humor into my fiction. I love the way the ideas just keep coming. Franki: You do such a good job of balance of real middle school issues with humor in the book. How did you do that and was it a conscious decision? Jeff: Thank you. I’m glad you think so. There’s that conscious word again. I’d say no. I didn’t decide to balance tough issues with humor. That’s what came out when I started to write. The reality is I was bullied relentlessly as a middle school student, and I believe the birth of my humor came from these experiences. If I made people laugh, I’d survive. They say a peacock’s feathers are so beautiful because they eat thorns. Through constant bullying I received, I ate a lot of thorns, making humor a feather in my cap. Another connection to me is my parents were divorced around this age, but I was separated from my Dad by a three-hour drive and three-times-a-year-scheduled visits. 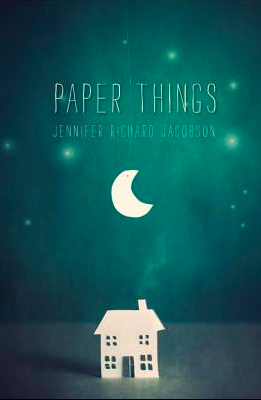 In this book, the closeness I have with my father is the one I wished I had. That’s another wonderful thing about fiction. You can change things or experience them in a new way. The way you want. I felt alienated and alone as a child. I had such a wish to disappear. 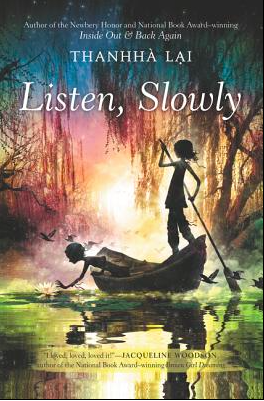 Those thoughts couldn’t help but arise as a theme in this middle grade book. But I hope the humor makes it fun. It wasn’t a message book at all, but still I think one can be found in it if you look. Franki: You’ve taught this age level. 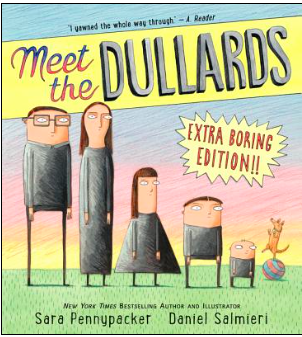 Did you notice kids you’ve taught show up in the characters of this book? Jeff: I wanted to write a book my students would want to read. In that way they are present as an audience I wanted them to relate to. And in a way everyone I’ve ever known shows up in Zack Delacruz: Me and My Big Mouth. But of course none of them are actual people. They are fabricated mixtures of people’s voices and experiences as well as mine. I’ve taught over twenty years in the classroom and that experience oozes all over these pages. The things my students liked, said, worried about, and wrote about find their way into the fabric of my stories. I don’t often see the students I taught in books: kids that hope and dream and have everyday kid problems, but also happen to be kids of color. I am so honored that I have the chance to give my students and those like them a true reflection of their day-to-day lives. But quite often my experiences work their way in. For example, in high school I was the one who ate all the chocolate bars I was supposed to sell. I, like Zack, turn to a jar of peanut butter when stressed. When I saw the illustrator’s rendering of that scene from the book, I saw me—young and old—all over that picture. Franki: I wasn’t aware there would be illustrations. Tell me about that. Jeff: Yes, I absolutely love Andrea Miller’s illustrations that aren’t in the advanced reader copy (ARC) you received. The pictures really add a layer to the book. If you’re interested, sometimes we release sneak peaks of illustrations on twitter. (@writeguyjeff, @andreacecelia, @sterlingbooks) And while I am at it, I am honored to have the fabulous Tad Carpenter, the cover designer of Wonder by RJ Palacio, designing the cover of Zack Delacruz: Me and My Big Mouth. Franki: Can you talk a bit about your experience writing a middle grade novel as opposed to the other writing you do? Jeff: In some ways, writing both genres are the same. I have to set aside large chunks of time to draft and revise. But fiction comes together in a different way than nonfiction writing for teachers. For teachers, it’s my voice and my actual experiences teaching writing. For my fiction book, my voice is that of a sixth grader. The characters exist only in my mind and the pages. It’s freer. Organization matters in both cases, but in fiction it’s about the plot and change and connection. In my professional books, it’s how I can best show teachers options and possibilities. And in the end, there is something incredibly healing in fiction writing that isn’t the same in professional nonfiction. The story is all. Fiction is also a more fun to write, though I enjoy writing whatever I work on. With fiction, I feel a new purpose, a new way of reaching readers. That’s a wonderful feeling. Franki: Will Zack Delacruz be a series? If not, what future writing for kids do you have in the works? Jeff: Yes, Zack Delacruz is slated to be a series of books. I actually have already drafted the second book in the series and am revising it right now. 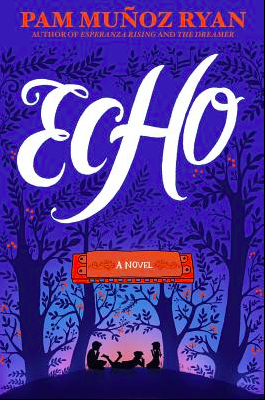 I also have a YA book that I’d love to get out there in the next year or so. It deals with the truth of how our pasts do in fact change us and form us and haunt us. Notes and comments and full-sized photos are on Flickr here. It's Math Monday! Mandy at Enjoy and Embrace Learning usually has a linkup, but she's on a beach somewhere and is taking a week off! This week, we had our own version of #EdcampKids. It was one of my favorite hours of the year. The kids were amazing and it was so fun to watch everything and to think about the possibilities that this can open up. I've been thinking about #Edcamp and working through how best to run Genius Hour and how to incorporate more Makerspace time all year. I want it to come together in a way that makes sense for kids. I've read a bit here and there about how others have done #EdcampKids work. I've learned lots from Paul Solarz' Passion Time posts. I loved this video of a 3rd grade EdcampKids. And I read about Ann Marie Corgill's and their EdcampKids sessions. 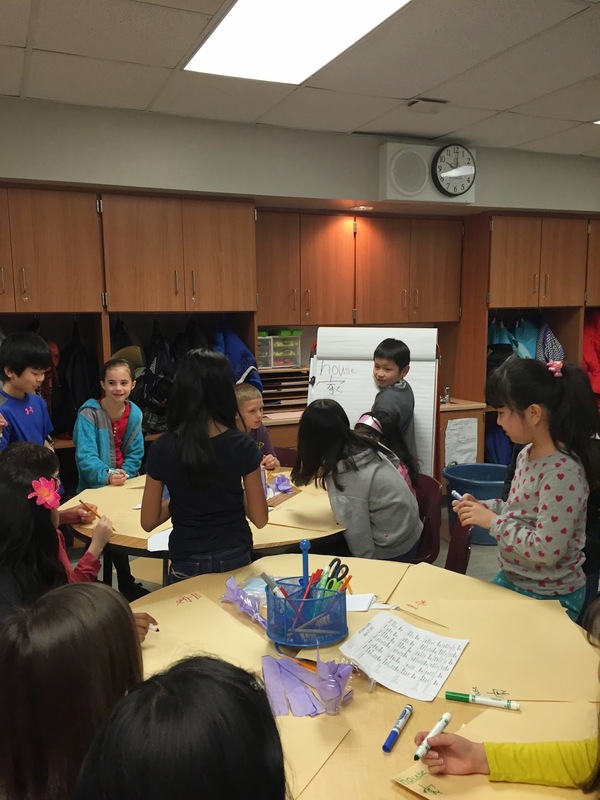 And I learned a lot from this post on an Elementary Edcamp. 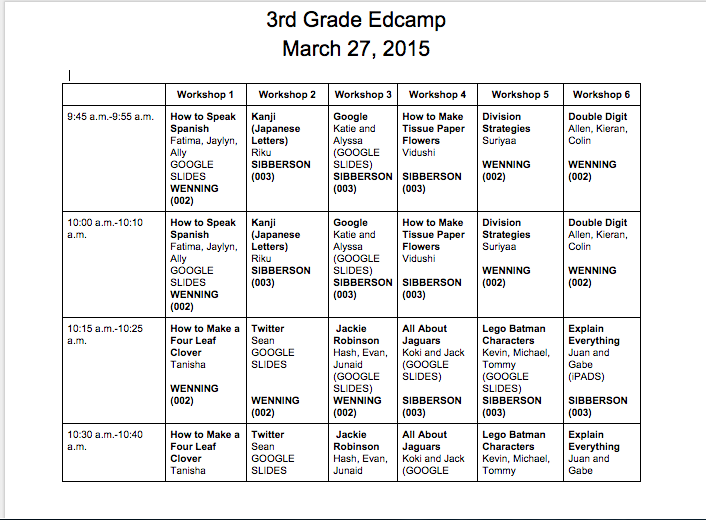 I worked with my 3rd grade colleague, Kami Wenning, and we thought hard about what we hoped EdcampKids could be. We knew we wanted something that was part of our routine--not a one time event. For that reason, we needed it to be simple. We knew we wanted authentic reasons for kids to share their learning and their passions on a more regular basis with more than just their own classroom. We knew we wanted kids to have reasons to use various tools in all of their informational writing. We knew we wanted the parts of our days to become more integrated for the kids--so that any interesting learning could become part of EdcampKids. We knew we wanted the kids to take ownership and be creative in what and how they shared. So we picked a date and decided to run our first #EdcampKids by seeing what happened when we tried to build the board. It turned out that we each had 6 kids or groups of kids who wanted to share something they had learned with the class. We decided to repeat each session of the 12 sessions so kids could attend a total of 4 sessions in one hour. Here is the final board (Google Doc) with location (which classroom) and notes for us so we knew how to set up for each group --Did kids need the Smartboard? a table? supplies? etc. We think kids could run all of this after a few rounds but for this round, we took care of deciding on spaces for each group. At 9:30 on Friday, we gathered kids together and shared the board with them. We gave them each a hard copy of the schedule so that they could decide which sessions they wanted to attend. They were very serious in their decision-making. The presenters were a bit disappointed ,when they realized they'd only be able to attend 2 of the 4 sessions but that balanced out the excitement they had about sharing their learning. One of my favorite noticings was the variety in not only the topics but the types of sessions. Just like all Edcamps I've attended, some sessions were more interactive, others were more conversational, and others were more lecture/presentation. It was a good mix and will give us lots to talk about when it comes to different ways to share information depending on your goals. A few kids had things to set up. 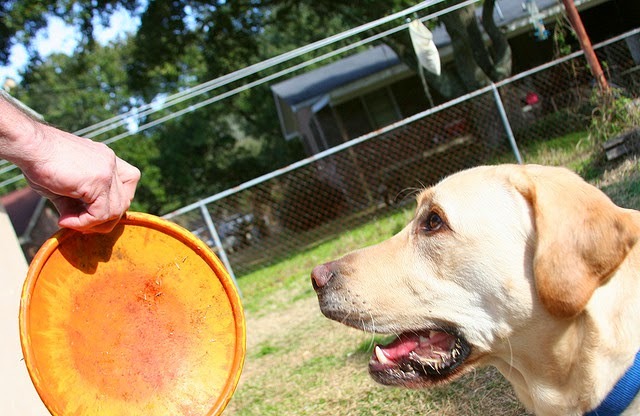 Most had done last-minute preparations at home. We had a good variety of sessions so some set ups only required logging into Google while other students had to set up supplies for participants. A student created this chart to hang on an easel for participants to refer to during her session. Using the easel helped participants see demonstrations of Japanese writing. The flower-making group was bigger than this student anticipated but she changed plans a bit and did a fabulous job at teaching everyone how to make the flower. As you can see, every session was a hit. Everyone had a great time and learned so much in every ten-minute session. I had a total of 11 students facilitate a session this week. That is just less than half. Students who did not have anything for this week are already asking when the next EdcampKids will be so that they can share the topic they love. Presenters reflected on how things went, how much they enjoyed sharing topics they love and how nice it was to talk to others about these topics. If we do this every 2-3 weeks, kids will have lots of opportunities to share in various ways across the year. I loved our first #EdcampKids for a million reasons. First of all, I worry about how much ownership we have taken away from student learning in this time of testing-- but things like Genius Hour, Makerspace and Edcamp bring that back and give kids days that are engaging and worthwhile as learners. I loved that kids had choice and that they made such smart decisions about everything that went into this hour--from what to share, to the tools they used to share, to which sessions to attend, to the questions they asked, to the thinking ahead to the next EdcampKids that they are already doing. And as always, I am amazed looking back at how many standards an hour like this meets. 12 sessions of students sharing their own learning and research. We met reading goals to get ready. We met writing goals to create presentation. We met speaking and listening goals. There was a great deal of collaboration and creativity involved in all of the preparation and the hour in general. Our plan is this--we hope to incorporate #EdCampKids into our routine and run a 1 hour session every 2-3 weeks for the rest of this year and we hope to start next year with it right away. We know that if we start early, we'll have so much to build on across our days. We know it will grow in ways we can't yet anticipate but we know it will be a powerful thing to teach into. Our conversations about informational writing, sharing with various audiences, research and learning about your passions will be more authentic when we can share the things we want to share, when we are ready to share them. The idea that there are lots of ways to share learning makes me happy. I have never been comfortable with everyone sharing a project or presenting within a few days' time and this gives kids options--What have you learned that you are hoping to share with others? What is the best way to share it? In this digital world, it is so important for our kids to have lots of ways to share their learning and to share information with others. EdcampKids gives our kids an authentic way to do this and then to connect beyond the classroom. We hope that adding this to the things we already do with blogs and social networks will give kids a good sense of the various ways to share, connect and learn with others. This year, I will write a poem a day that either evokes an emotion, or uses an emotion word in the title or body of the poem. I will be cross-posting at Poetrepository. You are invited to play along whenever you have the time or inspiration! Leave your poems or links in the comments (on either site). The emotions came from this list. I have a subscription to The Horn Book Magazine and it is one of my favorite things. I spend a couple of hours reading each issue. No matter how much I keep up online and with friends about new and upcoming books, The Horn Book always alerts me to books I haven't heard about. I always end up adding several books to my To-Read Stack. Sometimes I get most of the book titles from the reviews, sometimes from the ads, and sometimes from the articles. If you haven't picked up The Horn Book lately, it is well worth in terms of what is offered in every issue. 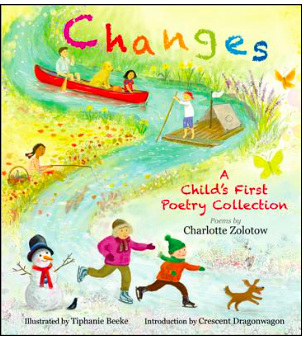 I love anything written by Charlotte Zolotow so I definitely want to read Changes: A Child's First Poetry Collection. 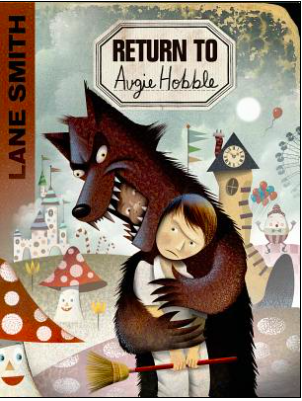 I had seen Return to Augie Hobble by Lane Smith but for some reason I had thought it was more middle school/YA. After reading the 5 Questions Interview (a Horn Book Feature that I LOVE), I added this one to my list. It looks too good to miss and definitely good for older elementary readers. This is Lane Smith's first novel! Bob Shea has a new series coming out for beginning readers. Ballet Cat looks to be fabulously fun. 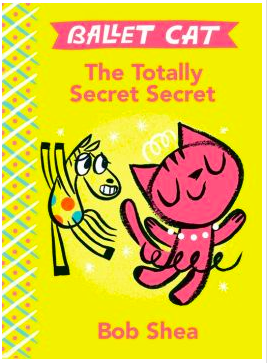 I love Bob Shea's other books and am excited to see a new series from him. This one is more early chapter book, I think. 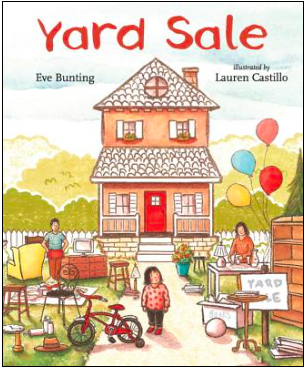 Yard Sale is a new picture book by Eve Bunting. As with all of her books, this one looks to be a great conversation starter. It will give kids lots to think about. 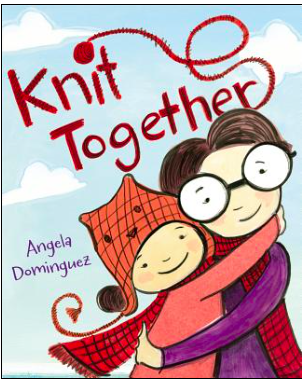 Knit Together by Angela Dominguez is one that drew me in because of the topic. A little girl loves to draw and her mothers loves to knit. This seems like a book that can invite great conversations around creating, creativity, following your passion, etc. 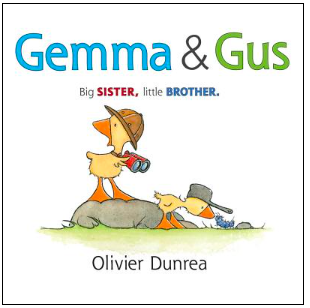 And who wouldn't want to meet two new duck characters from Olivier Dunrea. Gemma and Gus looks as fun as the others! 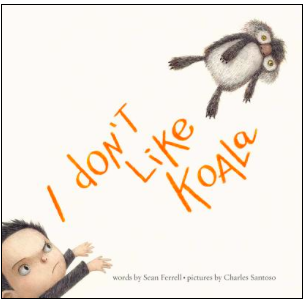 I Don't Like Koala by Sean Ferrell looks like a picture book my 3rd graders might like. It is described by a few reviewers as "creepy". The Horn Book describes it as clever. Seems to be just the kind of humor I like in a picture book! I was very excited to see Look! by Jeff Mack coming soon! 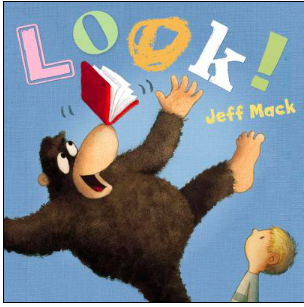 I love Jack Mack and am thrilled that his new book is about books and reading! What fun! There are LOTS more great books reviewed and discussed in this issue (and EVERY issue) of The Horn Book Magazine. There are just some of the titles I am adding to my stack after reading the issue. I imagine when I pop through the issue again, I'll add more. I highly recommend reading The Horn Book from cover to cover 6 times a year! A Library Book for Bear Written by Bonny Becker, Illustrated by Kady MacDonald Denton, Published by Candlewick Press. Any Questions? Written and illustrated by Marie-Louise Gay, Published by Groundwood Books. A Snicker of Magic Written by Natalie Lloyd, Published by Scholastic. Ava and Pip Written by Carol Weston, Published by Sourcebooks/Jabberwocky. brown girl dreaming Written by Jacqueline Woodson, Published by Nancy Paulson Books/Penguin/Random House. Construction Written by Sally Sutton, Illustrated by Brian Lovelock, Published by Candlewick Press. Firefly July Written by Paul B Janeczko, Illustrated by Melissa Sweet, Published by Candlewick Press. Help! We Need a Title! Written and illustrated by Herve Tullet, Published by Candlewick Press. It’s an Orange Aardvark! 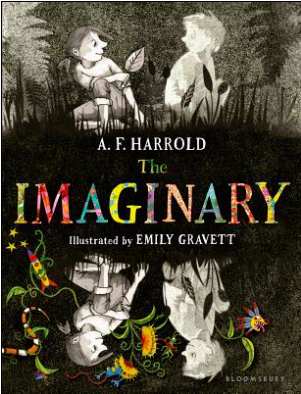 Written and illustrated by Michael Hall, Published by Greenwillow/HarperCollins. Josephine Written by Patricia Hruby Powell, Illustrated by Christian Robinson, Published by Chronicle. Migrant Written by Jose Manuel Mateo, Illustrated by Javier Martinez Pedro, Published by Abrams Books for Young Readers. On the Wing Written by David Elliott, Illustrated by Becca Stadtlander, Published by Candlewick Press. Rain Reign Written by Ann M. Martin, Published by Feiwel & Friends/Macmillan. Revolution Written by Deborah Wiles, Published by Scholastic. Rhyme Schemer Written by K. A. Holt, Published by Chronicle. Silver People: Voices from the Panama Canal Written by Margarita Engle, Published by Houghton Mifflin Harcourt. Shooting at the Stars: The Christmas Truce of 1914 Written and illustrated by John Hendrix, Published by Abrams Books for Young Readers. Take Away the A Written by Michael Escoffier, Illustrated by Kris Di Giacomo, Published by Enchanted Lion Books. Tap Tap Boom Boom Written by Elizabeth Bluemle, Illustrated by G. Brian Karas, Published by Candlewick Press. The Categorical Universe of Candice Phee Written by Barry Jonsberg, Published by Chronicle. The Crossover Written by Kwame Alexander, Published by Houghton Mifflin Harcourt. The Great Big Green Written by Peggy Gifford, Illustrated by Lisa Desimini, Published by Boyds Mills/Highlights. The Noisy Paint Box Written by Barb Rosenstock, Illustrated by Mary Grandpré, Published by Knopf/Random House. The Pilot and the Little Prince Written and illustrated by Peter Sis, Published by Farrar Straus Giroux/Macmillan. The Right Word: Roget and his Thesaurus Written by Jen Bryant, Illustrated by Melissa Sweet, Published by Eerdmans Books for Young Readers. The Scraps Book: Notes from a Colorful Life Written by Lois Ehlert, Published by Beach Lane Books/Simon & Schuster. Voices from the March on Washington Written by J. Patrick Lewis & George Ella Lyon, Published by WordSong/Highlights. Weeds Find a Way Written by Cindy Jenson-Elliott, Illustrated by Carolyn Fisher, Published by Beach Lane Books/Simon & Schuster. Winter Bees & Other Poems of the Cold Written by Joyce Sidman, Illustrated by Rick Allen, Published by Houghton Mifflin Harcourt. what flowers remember Written by Shannon Wiersbitzky, Published by namelos. Four Must-Have New Picture Books! I've been discovering lots of fun picture books lately--books that are great for read aloud or any kind of sharing. 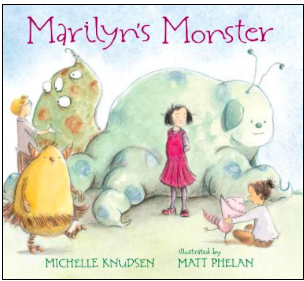 I read Marilyn's Monster to the kids during the last few minutes of the day before Spring Break. They were glued --the loved it. They immediately noted similarities to Beekle, one of their all-time favorites. This is a great author/illustrator team. Author, Michelle Knudsen, wrote Library Lion and illustrator Matt Phelan illustrated The Storm in the Barn and Bluffton. This is such a fun story with such adorable monsters that you can't help but fall in love with it. aloud! I loved it when I first glanced at the cover. 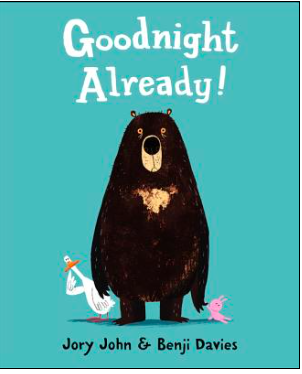 It is a fun story of a bear who is sleeping and his duck friend who is wide awake--and who wants some company. The story and illustrations are quite fun. Our literacy coach shared I Know a Bear with us last week. My kids had a very long discussion after reading the book. 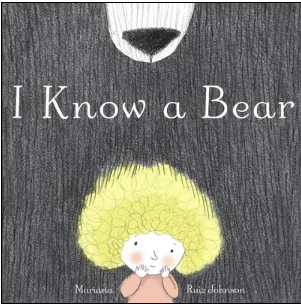 The book seems to be a simple story about a girl and a bear but it is more than that. It is a story of the friendship between the girl and the bear but it also brings in issues of animals/zoos. Kids can enter this at many levels as there are many layers of invitation here. 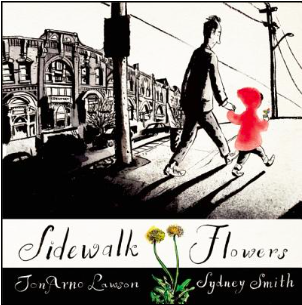 Sidewalk Flowers is my new favorite wordless picture books. I was so happy to find this one! It is such an amazing book! SO SO SO SO wonderful. It is the story of a little girl and her father walking home from somewhere. The little girl is busy noticing so many things around her on their walk. 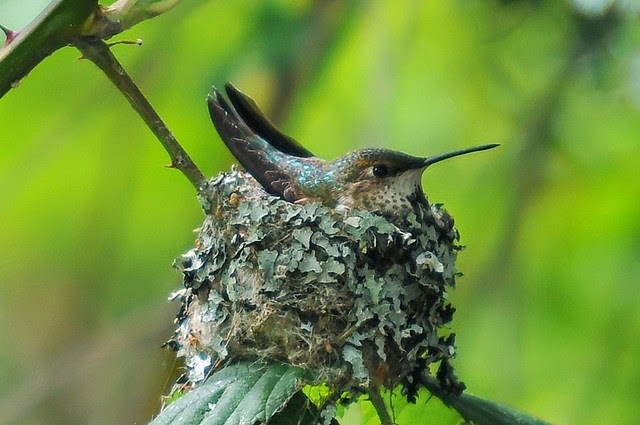 The father doesn't notice so much but he is patient with her noticing. This story is similar to many in its message and the idea of a black and white world with colorful flowers will make for great conversation. Definitely one with so many possibilities for the classroom. These were four must-haves for me. I loved them all for different reasons but they are all perfect for elementary classrooms or libraries. Such fun and such great conversation starters. Join Mandy at Enjoy and Embrace Learning for the Math Monday link up! Well, spring break is well and truly over. The Problem Solving With Fractions math quiz that my 5th graders took on the Thursday before break finally got graded Saturday night. Because of the importance of assessment driving instruction, I needed to grade that quiz before I knew what I would be teaching today in math. We won't be starting with dividing fractions just yet, that's for sure. So many stitches were dropped in that quiz that we'll start off with a healthy dose of review. We need to go all the way back to reading a problem carefully to understand what it's asking, and paying attention to key words and phrases like "product," "how much more/less/farther/bigger," and "in all/total." Carefully reading the problem will tell us how to label our answers, or better yet, write the answer in a sentence. We'll remember what we learned about multiplying a fraction by a whole number or a mixed number by a fraction, and how to take an answer that's an improper fraction and simplify it into a mixed number. Then I'll give them their quizzes back, marked with the problems that need a second look, and we'll see if they can fix their mistakes, or finish their work by simplifying or correctly labeling answers. And for the three students who got everything correct, I will give them this problem that NO ONE got correct (and that confounded me for a minute or two when I started grading). It doesn't make sense when you're solving for area to wind up with an answer that's less than the length of one of the sides. How can you solve this so your answer makes sense...and answers the question? Jen makes a rectangular banner that is 1 3/4 yards long and 6/12 yards wide. What is the area, in square yards, of the banner? This poem is my fifteenth (!!) in Heidi's MarCH CHallenge. You can browse through all my CH poems here. 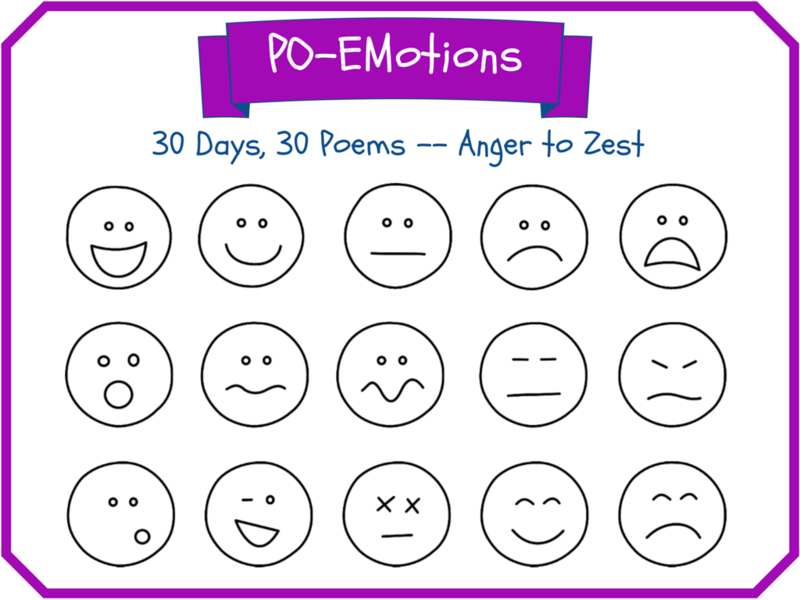 If you're curious, the list of emotion words for my Poetry Month 2015 project PO-EMotions is here. Formal unveiling ceremony will be next week. Catherine is hosting the Poetry Friday Roundup this week at Reading to the Core. It is time for our traditional Spring Break blog vacation! We'll be back on Friday for Poetry Friday! 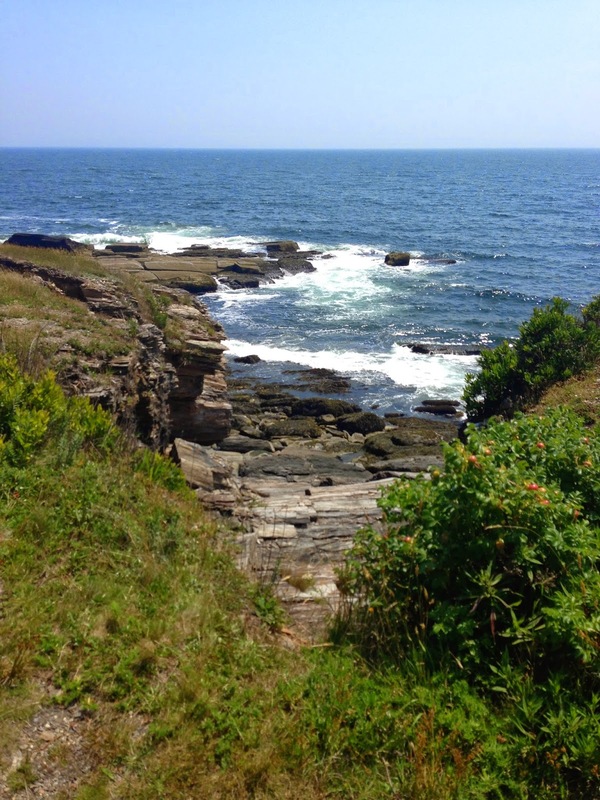 Poetry Friday -- Announcing My Poetry Month Project! Here's what's in MY to-read stack! I am looking ahead to spring break reading and am hoping to get to lots of books on my stack. 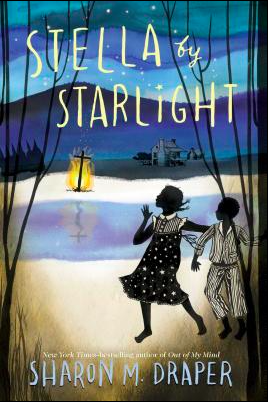 There have been so many great middle grade novels that have been released recently. Many are by authors whose work I love. I doubt I'll be able to read a MG novel a day over break but this is my Spring Break wish list--the stack I am hoping to get to. 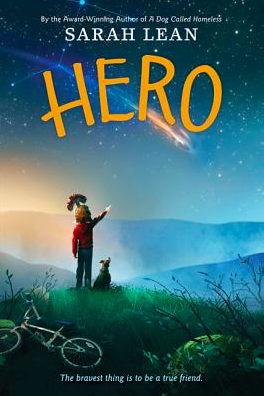 I read two brand new picture books by Kate Messner this week. Both were such a treat. I am amazed by Kate Messner because her writing is so diverse. She can write so many things well. These two pictures books are very different and I loved them both for different reasons. 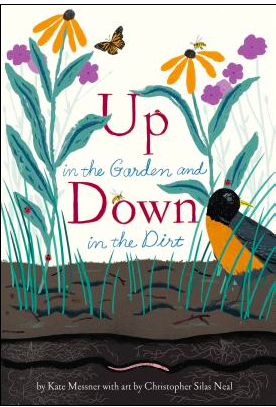 Up in the Garden and Down in the Dirt is a companion book to Over and Under the Snow. I remember reading Over and Under the Snow and being fascinated by all that happens in winter that I had never realized. Kate somehow made really complex science really accessible and interesting. She does the same thing in Up in the Garden and Down in the Dirt. This book follows a little girl and her grandmother as they plant a garden in the spring and watch it grow and change through the summer. We watch as the two tend to the garden as the garden's needs change. And we watch the fun of seeing the work pay off as summer continues. At the same time, we learn of all of the things going on in the garden that are not as visible-the things going on in the dirt. Just as in the first book, Kate alternates between work in the garden and work in the dirt. There is so much information packed in the book that it is one that begs to be reread. In the author's note, Kate Messner states, "Every garden is a community garden. Do you know why? You may work hard planting seeds and pulling weeds, but plants can't thrive without the help of all those smaller gardeners down in the dirt." Definitely a book I want in my classroom! 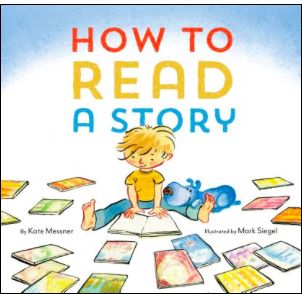 Kate Messner's How to Read a Story is due out in early May but I'd preorder it now! This is a how to book--and it gives directions for how to read a story. It starts out with Step 1: Find a Story. A good one. It is packed with all that is important in reading--finding a reading buddy, finding a cozy spot, using voices that match the characters' voices, and more. This will make for a fun read aloud but it will also start great conversations about reader identity--what are your tastes as a reader? where do you like to read? etc. A great conversation starter for our reading workshops! 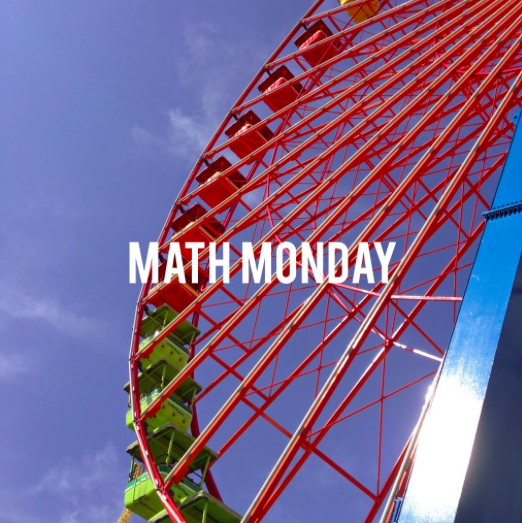 for the Math Monday link up! How I love those four little words! Saturday was our appointment with the tax lady. When she was all done and told us that our return would be xxxx, my heart sank a little -- the amount was almost a third of what we have been getting back in recent years. But I didn't say anything. Lucky for me, our brilliant tax lady said, "That doesn't seem right..." and poked around until she found a default setting that doesn't fit for us. She worked and worked to get the online form to reflect our particular reality, and when she was done, she said, "That's better! Your return is XXXX! That's more like it!" Indeed! Now we can get new siding for the house AND have some left over! This story is brought to you by Math in the Real World. You can bet I'm going to tell this story to my students today, and the moral will be to ALWAYS think about whether your answer makes sense! Robyn Campbell has the Poetry Friday roundup this week. "If you share the work of others, it’s your duty to make sure that the creators of that work get proper credit. Crediting work in our copy-and-paste age of reblogs and retweets can seem like a futile effort, but it’s worth it, and it’s the right thing to do. You should always share the work of others as if it were your own, treating it with respect and care." "All of this raises a question: What if you want to share something and you don’t know where it came from or who made it? The answer: Don’t share things you can’t properly credit. Find the right credit, or don’t share." Austin Kleon is the author of Show Your Work!, Steal Like an Artist, and Newspaper Blackout. The above quotes are from an older blog post of his (Credit is Always Due) that he shared via his weekly newsletter. Thank you for this important reminder, Mr. Kleon. Some believe that students should be able to use media that is not licensed for reuse in projects that never leave the classroom. But I believe that we need to teach students the importance of using only that media which is licensed for reuse (plus giving proper attribution to the source) EVERY time they borrow from others. I want my students to be the MAKERS, not just the USERS, and as such, they need to use unto others' creations as they hope others will use unto the things they make and share in the classroom, in the school setting, and in the wide world. I've had to really add lots of easier nonfiction to my 3rd grade classroom library. I realized so much of what I have requires lots of experience with nonfiction text. But I am thrilled to find lots of great nonfiction and my 3rd graders are reading more nonfiction than ever. It is tricky to find nonfiction perfect for 3rd grade--it has to be interesting enough for 8 year olds but it needs to be accessible. I have seen nonfiction really turn some of my kids into readers this year because I've been so intentional about the nonfiction section of our classroom library. Scholastic Discover More series is one that I have come to LOVE LOVE LOVE this year. There are three different "levels" to this series but the difference isn't so obvious to kids. The easier books in this series are 32 pages long and they are great for primary readers. The topics are interesting and I have several kids who have read all 8 books in this part of the series. 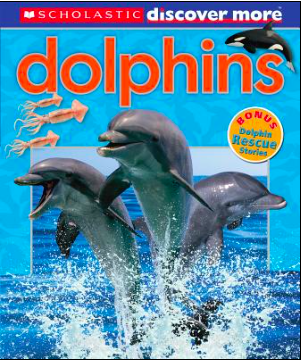 Definitely one of my favorite nonfiction series as it is packed but the text level is doable for kids who have trouble finding engaging nonfiction. 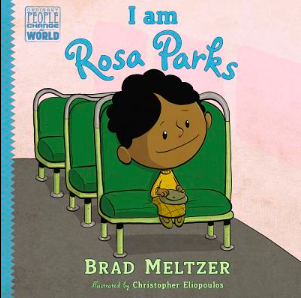 I've mentioned before how much I love Brad Meltzer's picture book I am Rosa Parks this week--not sure how I missed it when it was released. My kids love this series and this one is as good as the others. I love the way that Rosa tells her own story and how much readers can learn about the civil rights movement from this book. This series continues to impress me--just wish they were coming out faster! The last nonfiction book I picked up recently was Kali's Story by Jennifer Keats Curtis. It is a simple story with very accessible text. I am glad to add as many shorter, easier texts as I can because I believe volume matters and kids are more willing to read a book that seems doable for them, when nonfiction is new. 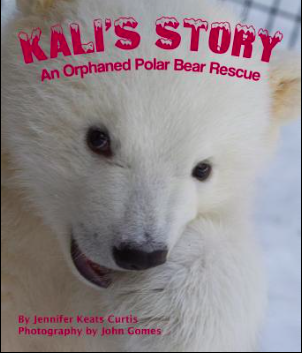 Kali's Story is the story of a baby polar bear who was rescued after his mother died. It is a story my kids will love and one that might lead them to other books with similar rescue stories. The photos are adorable and they will draw kids in immediately. So glad I committed to reading more nonfiction in 2015. I am already a bit behind but just knowing I set a goal has me reading more than I would have otherwise. You can head over to Kidlit Frenzy for the Nonfiction Wednesday round up! I attended OCTELA on Saturday and presented with Barbara Kiefer and Fran Wilson on NCTE's Charlotte Huck award winning books from this year. It is an honor to serve on this committee and I soooo love the premise of the award -- this award recognizes fiction that has the potential to transform children’s lives by inviting compassion, imagination, and wonder. I love the list of award books. It was great fun to share them at OCTELA. This week, in preparation for OCTELA, I started pulling together resources that connected to most of the award winning books. I thought it would be helpful for teachers who wanted to know more about the books and many of the links would be great to share with students. I collected them on a Padlet and am happy to share that Padlet here. Enjoy! Math Monday -- A Mosaic is an Array!